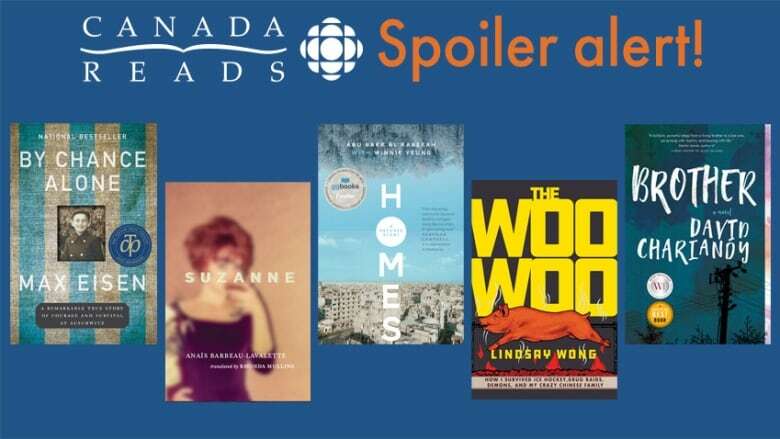 Canada Reads 2019 spoiler: The final vote and winner! 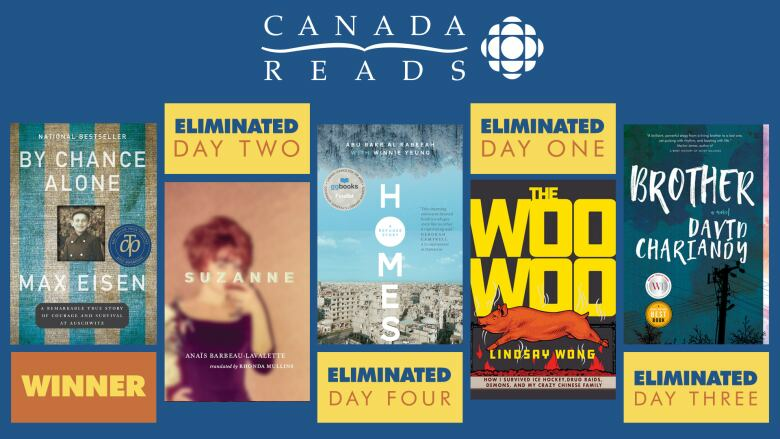 Click here for a complete voting breakdown of all four days of the Canada Reads 2019 debate. 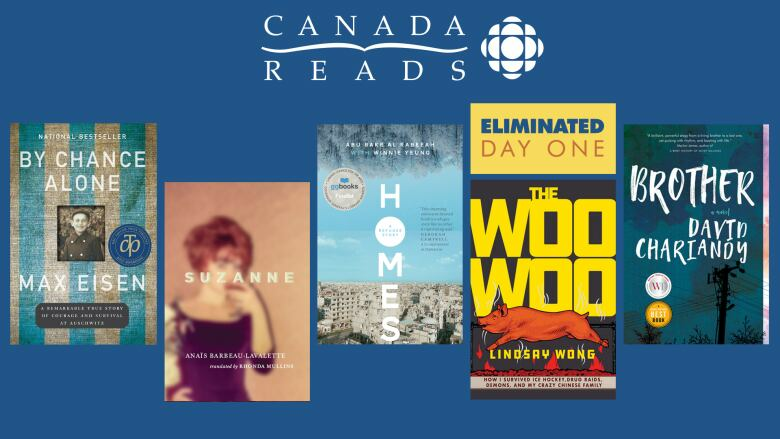 Read an excerpt of Homes by Abu Bakr al Rabeeah with Winnie Yeung here. Read an excerpt of Brother by David Chariandy here. 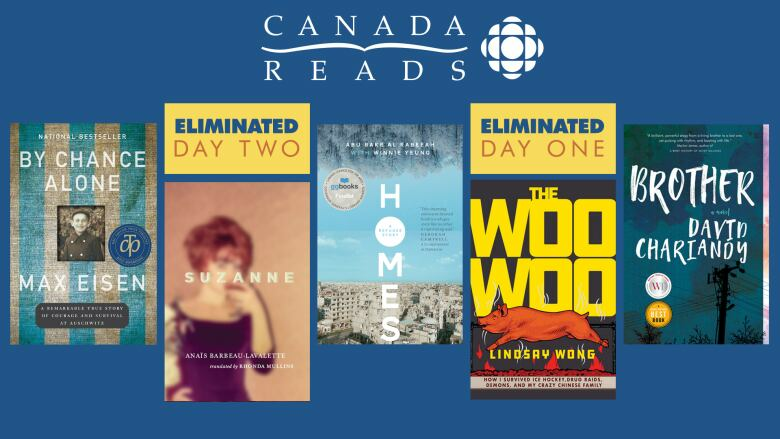 Suzanne by Anaïs Barbeau-Lavalette, translated by Rhonda Mullins, defended by Yanic Truesdale was voted off on Day Two of Canada Reads 2019. Read an excerpt of Suzanne by Anaïs Barbeau-Lavalette, translated by Rhonda Mullins here. 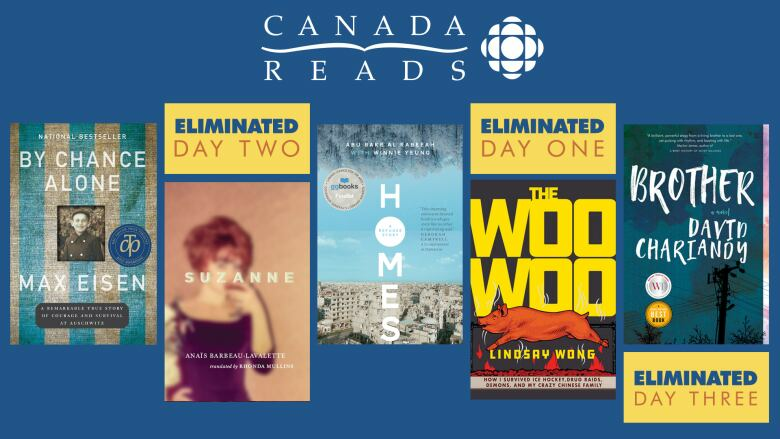 The Woo-Woo by Lindsay Wong, defended by Joe Zee was voted off on Day One of Canada Reads 2019. Read an excerpt of The Woo-Woo by Lindsay Wong here.